Passiflora arborea - "Tree Passionflower"
This is a rare look at the amazing "Tree Passionflower" - Passiflora arborea. This fascinating species is not a vine - it's a free-standing, woody tree that can grow 50 feet tall! Its gigantic leaves can get 1.5 feet long! A photo of the plant in the wild is here. This Colombian native is extremely rare in cultivation, and fresh seeds are almost never seen for sale. Passiflora arborea has a strong upward growth habit, typically growing 20 to 30 feet tall in the wild. Its branches lack the tendrils found on most Passifloras, since it does not need other plants for support. Each inflorescence has from 2 to 8 blooms. 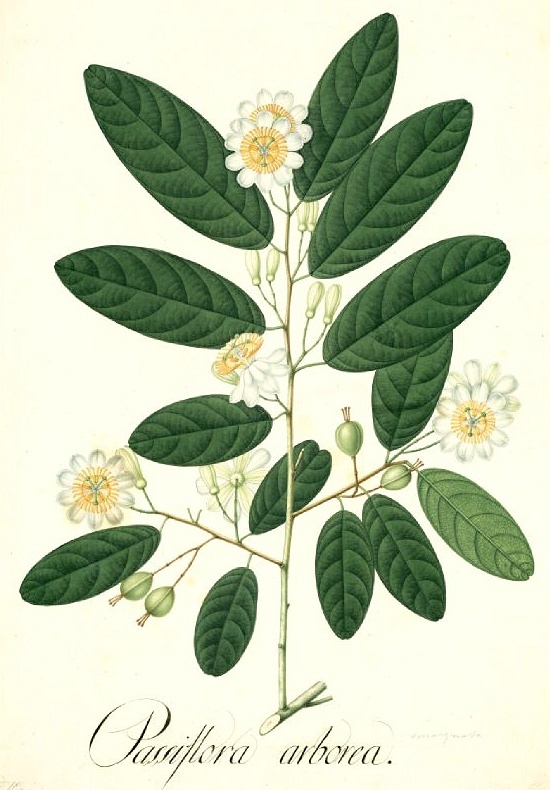 The scented flowers are 2 inches across and have white petals with a yellow ring of filaments. The blooms are followed by oval fruit that is edible. 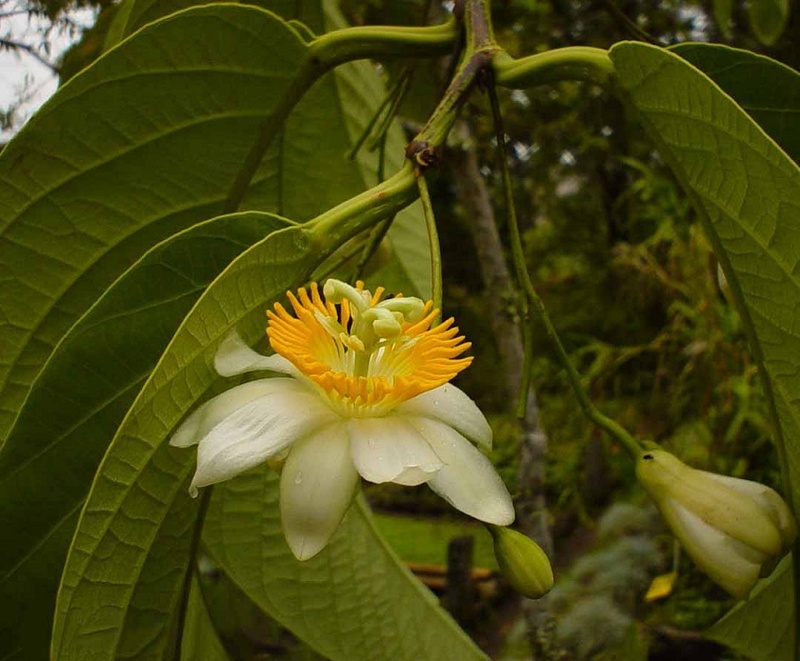 Over 70% of Colombia's Andes forests are gone due to deforestation, leaving the Tree Passiflora's future in jeopardy. The plant comes from 1400-2200 meter elevation, where the climate is mild to warm all year, and nights are cooler but frost-free. I have no information on whether it can handle frost. Since it comes from cloud forests, it appreciates partial sunlight. Some protection from strong afternoon sun may be necessary. Like most Passifloras, it enjoys well-draining, fertile soil that's kept evenly moist. Over about 50% humidity is recommended.